To celebrate the last long weekend of summer, wordstock is offering 20% OFF all editable PDF projects. Offer valid until Tuesday, September 5th. 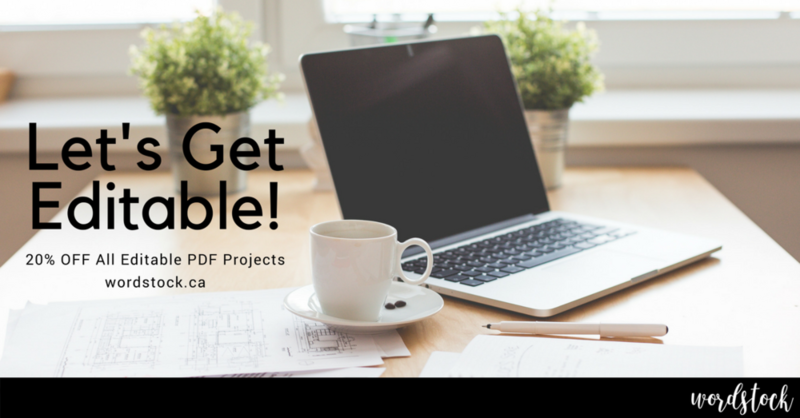 Connect via jodi@wordstock.ca to discuss your editable PDF project!